Foam Tape – Tape Solutions, Inc.
Whatever your application may be, consulting with a knowledgeable and skilled foam tape manufacturer is the best way to ensure that the product you receive is the best possible product for your specific application. Foam tape is known for its use as a weather-stripping tool, however due to its make up this product does not provide one hundred percent protection in terms of waterproofing or providing an air tight seal. If you are looking for either of these solutions, it is best to look elsewhere. 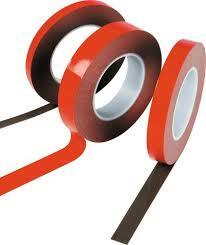 If your application only requires reduced air or water flow, then foam tape is the perfect solution for your problem. The most common types of foam tape are made from materials like or related to polyethylene which is one of, if not the most, common types of plastic. Polyethylene has a number of different advantageous properties such as high impact strength, ductility, great chemical properties and above average thermal properties. It is these properties and the design in which the foam tape is manufactured that makes this product a great tool for weather-stripping. A lot of times foam tape will come with either one side being tacky or even both sides being tacky, which allows it to be held in place much easier, especially in applications where it fits onto a door frame in order to help insulate a home. 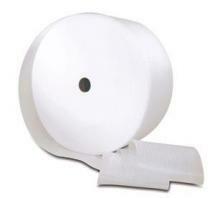 Unlike a lot of other tapes, foam tape has a backing that must be peeled off before use as the adhesive that is used is much stronger than a lot of other forms of tape. For this reason, only remove the backing right before placing your foam tape onto its final resting spot. It is very important to verify your measurements of your desired foam tape application and to relay any environmental impacts that might play a factor into the overall effectiveness of the foam tape. After that, the right foam tape manufacturer will be able to provide you with a solution for your application that will go above and beyond your expectations. Foam Tape Foam tape is a form of tape that can be found in a number of different applications such as in the medical industry, home improvement industry, or in use as a form of gasket taping.